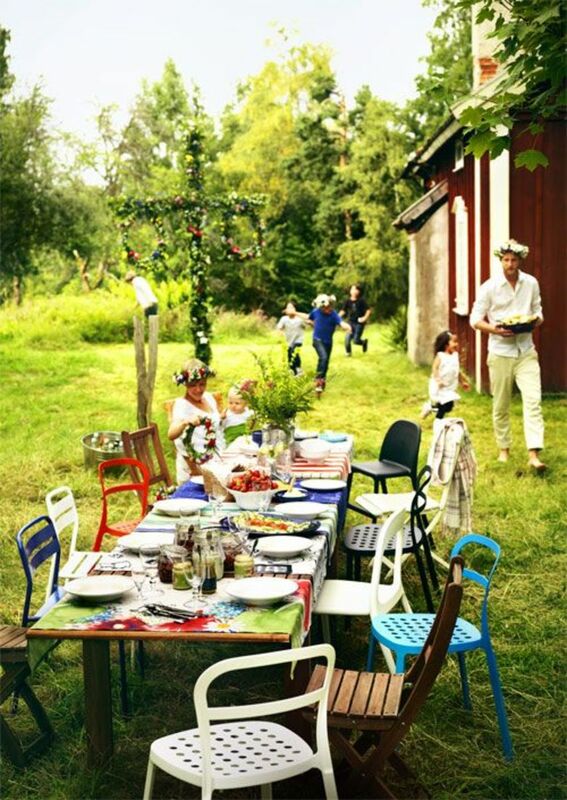 Midsommar is also known as Midsummer&apos;s Eve or Midsummer&apos;s Day. It&apos;s the celebration of summer and falls on the longest day of the year. After a long dark winter Midsommar is a time to party! 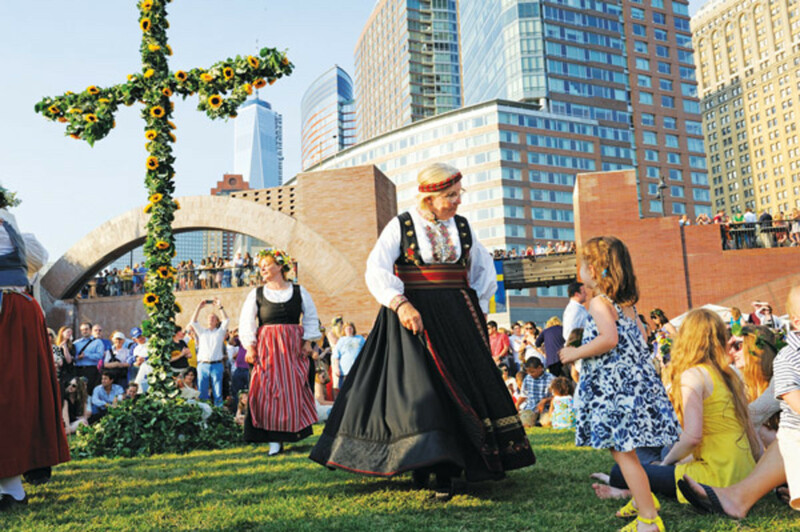 Midsommar is celebrated on the longest day of the year and the shortest night (summer solstice) This year Midsommer is celebrated on June 20, 2015. The night before is celebrated by raising the maypole (majstång) and full of singing, dancing and drinking. 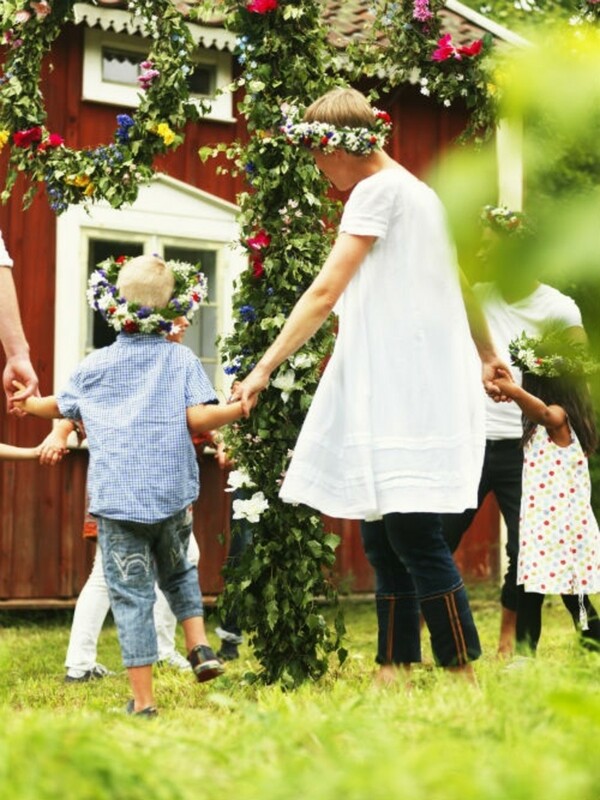 Midsommar is celebrated in many countries but it&apos;s mostly loved by the people of Sweden and is probably more loved by Scandinavians than Christmas! Celebrate Midsommar by picking fresh local flowers. These freshly picked flowers show the celebration of summer. 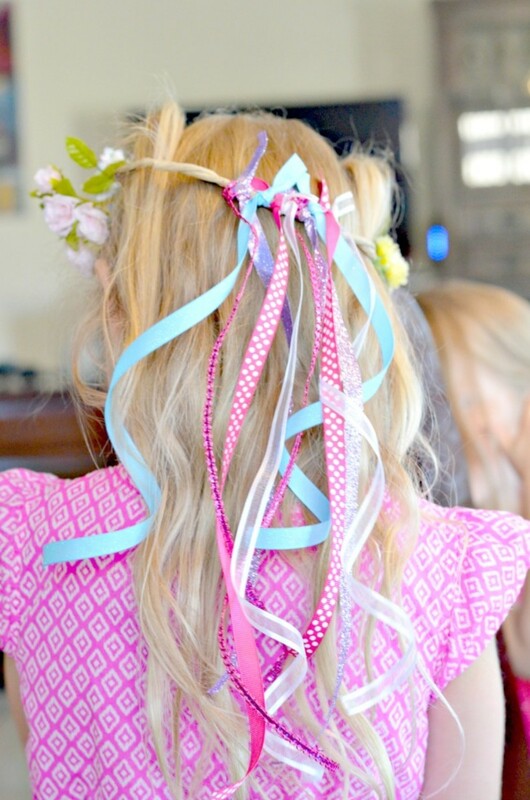 Men, women dan children wear a flower wreath on their heads and dance around a maypole! 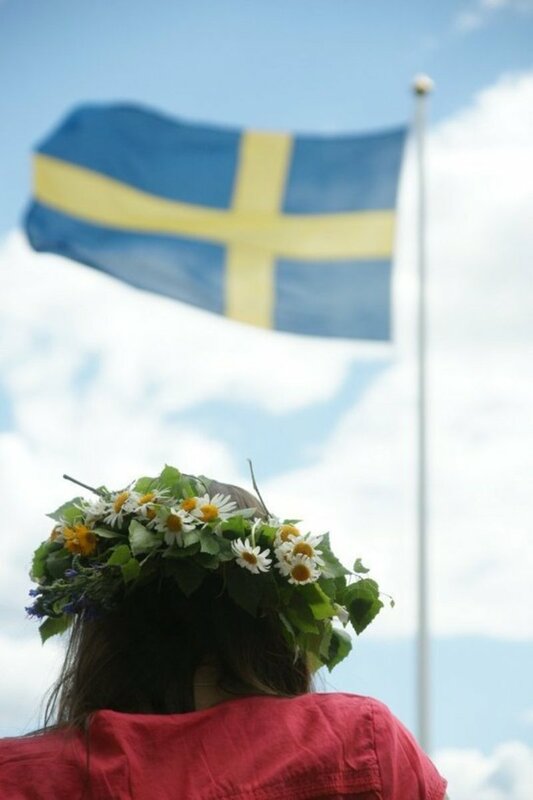 Midsommardagen translates to "Midsummer&apos;s Day" in Swedish. Tradition is that young girls place 9 different types of flowers under their pillows to dream of their future husbands. 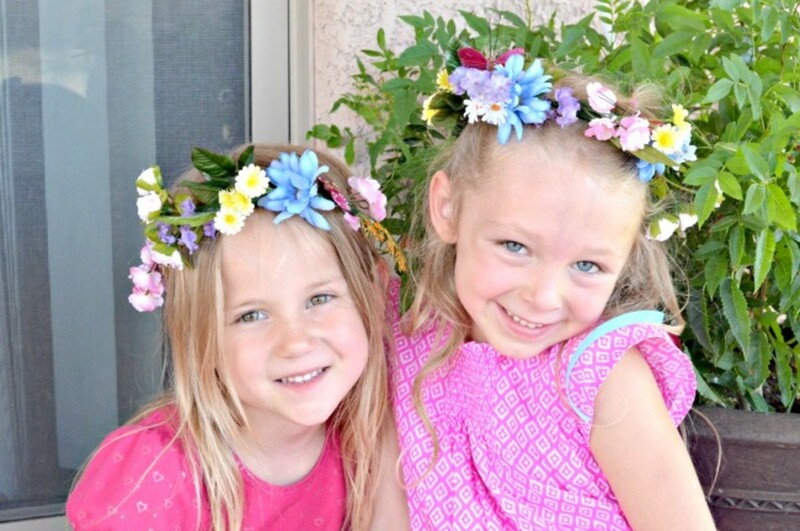 My daughter and a friend made these sweet floral wreaths to wear on their heads for Midsommar this year. 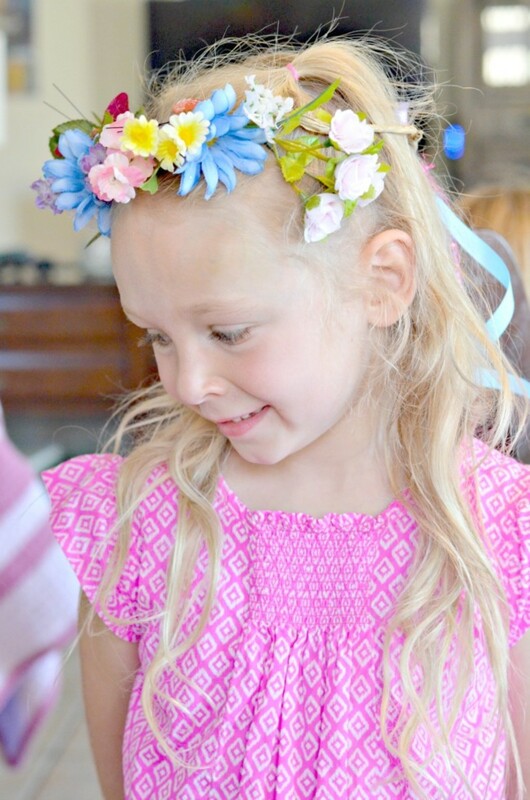 We&apos;re going to show you how you can make your own flower wreath to celebrate with this summer! 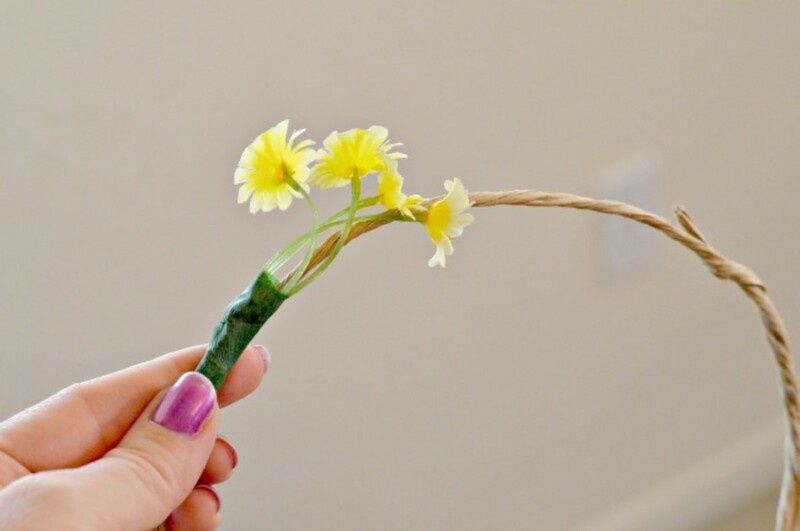 Start by making a circle out of your stem wire. Measure it on your head for size. 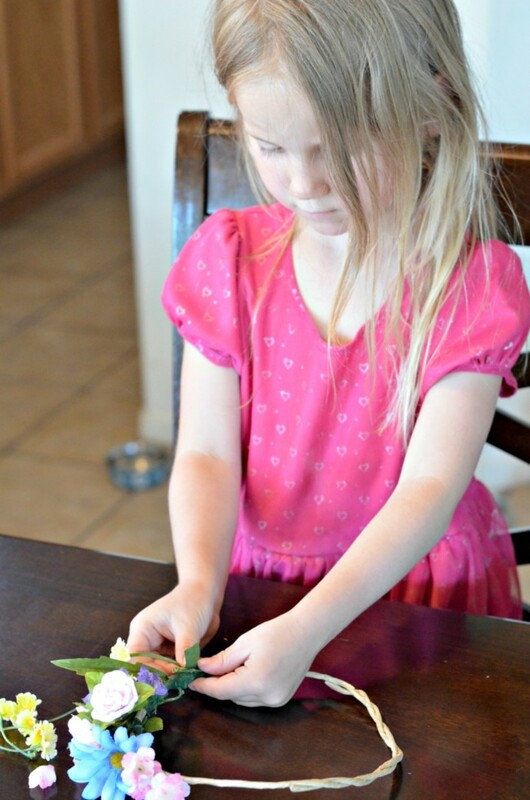 Cut flowers off the large bunches, be sure to leave a little stem so you can attach them to your floral wreath. 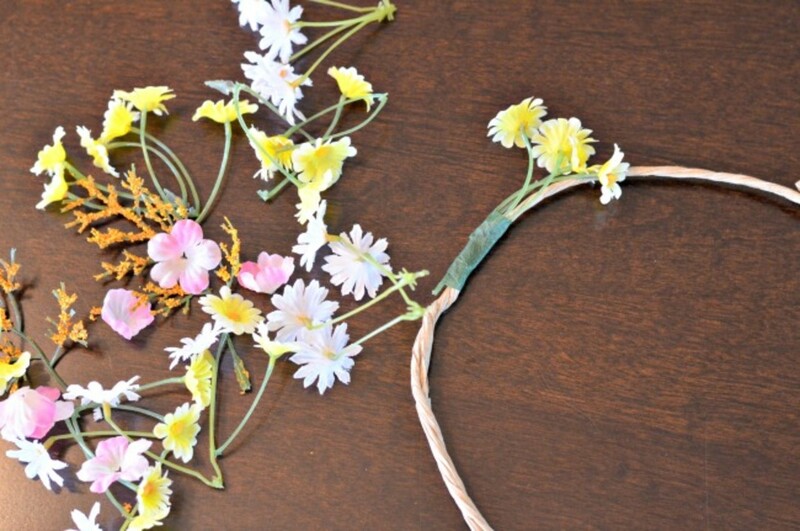 Using little pieces of floral tape, tape the flowers onto you wreath. Layer them slightly to create a full look. 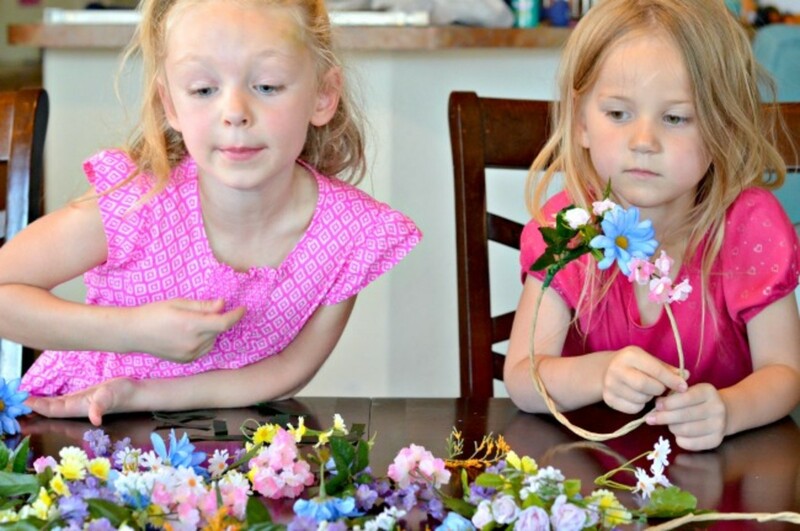 The floral tape was a little difficult for our 5 and 6 year old to get started but with the help of Moms we got them started and then they could finish wrapping each flower on their wreath to make a pretty pattern. 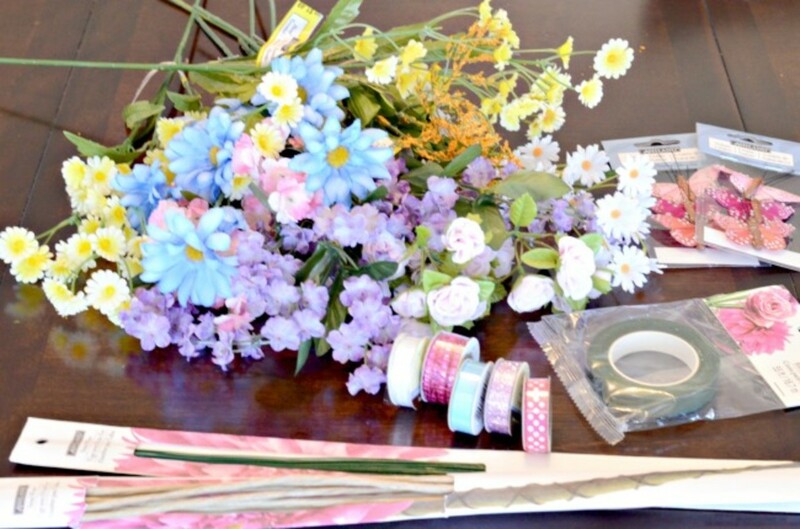 We precut the floral tape into small pieces for ease. 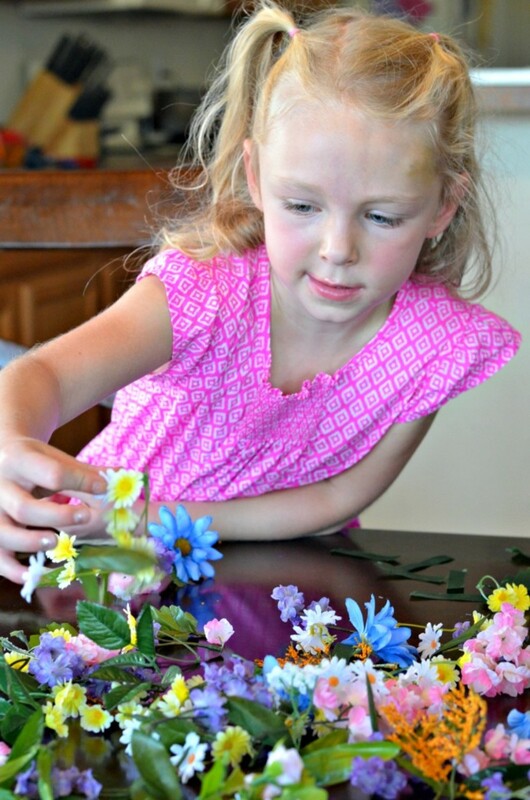 Once you are done adding your flowers to your wreath, you can add embellishments. We added a few butterflies I picked up in the floral section and tied some pretty ribbons on the back. Didn&apos;t their flower wreaths turn out great!? Now we&apos;re ready to celebrate Midsommar like a Swede! 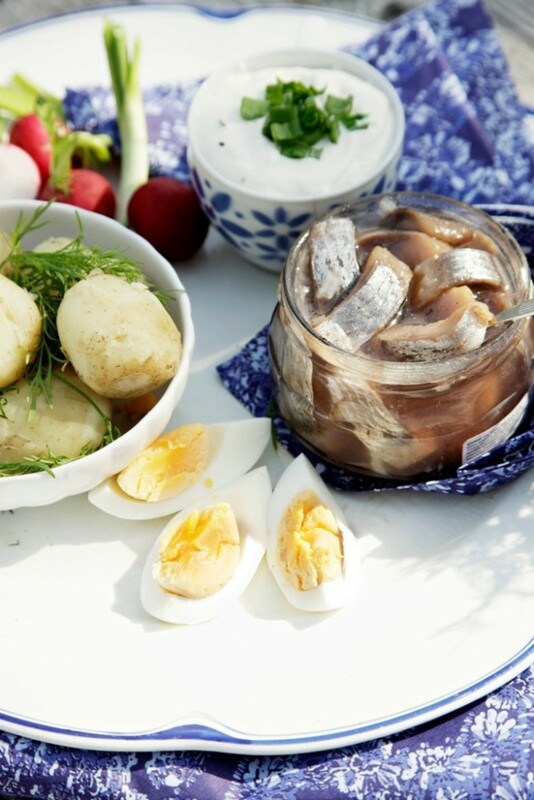 Typical food served at a Midsommar Festival is pickled herring, boiled potatoes and fresh fruit. Often long tables are set outside and filled with lots of yummy foods and drinks. 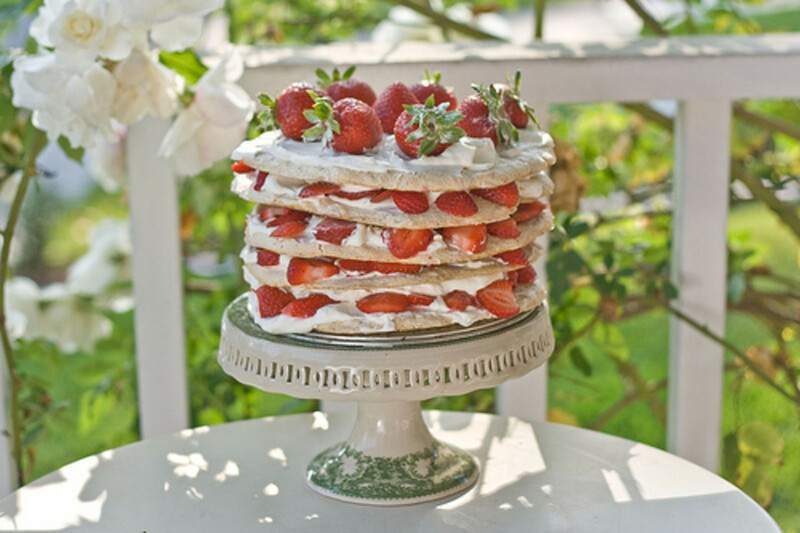 You can serve a delicious dessert like this Strawberry Meringue Layer Cake recipe we found. It looks so fresh and summery! 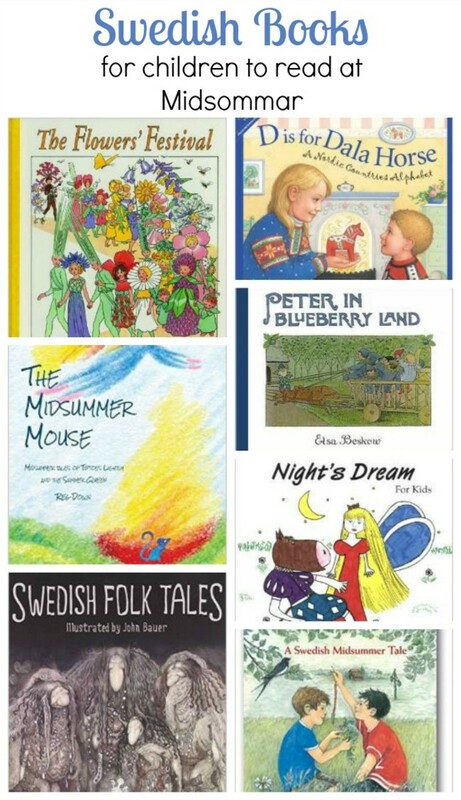 We&apos;ve rounded up a collection of swedish books children will enjoy reading to celebrate Midsommar.